In perhaps the most exclusive resort destination in the world, luxury villa rentals define the epitome of privacy and luxury for the rich and famous. Over the years, the glittery French resort town of St. Tropez has become synonymous with sun, beauty, glamour and all the good things in life. The quaint medieval town set on a bay has been drawing the world’s who’s who for decades with its sandy beaches and cloudless skies. Even before becoming known as St. Trop (trop being the French word for “too much”), this village was called the Montparnasse of the Mediterranean, because of its appeal to artists and writers. Illustrious personalities from Paul Signac and Matisse to Colette, Anaïs Nin, and Françoise Sagan, were all drawn to the beauty and isolation of this place. For as popular as St. Tropez is, it is still just as hard to reach. With the exception of the peak summer season, which draws millions of vacationers, St. Tropez remains a quaint, sleepy town for the remainder of the year. And while there are plenty of luxury hotels in and around the center of town, St. Tropez is the kind of place you can best experience by staying in one of the luxury villa rentals that dot the surrounding area—some with all the amenities of a five-star hotel—that offer great access to the beaches and hotspots that make St. Tropez so popular. St. Tropez has come a long way since it first became known internationally as the place to be. That distinction came thanks to a pouty-lipped Brigitte Bardot who arrived in town to film Roger Vadim’s And God Created Woman–after which nothing was ever the same for St. Tropez again. Suddenly the sleepy fishing village was catapulted to the top of the Côte d’ Azur’s hot list and the rich and famous began descending en masse, especially during the high season months of July and August. The fact that the village was (and still remains) both remote and isolated only served to make it that much more popular and exclusive. Today St. Tropez remains a gorgeous place to vacation in a luxury villa rental with much to keep you entertained. Days in St. Tropez are best enjoyed at one of the area’s exclusive beach clubs, like the famed Nikki Beach, or by the private pool offered in many of the luxury villa rentals in the area. Many of these pools feature “vanishing edge” designs that appear to blend directly into the Mediterranean Sean. Remember — reservations are mandatory at most of the beach resorts. Many of the area’s best beaches, found along the Baie de Pampelonne, require a drive from the town, but head west from the city center and there are others that can be found within a reasonable walking distance. 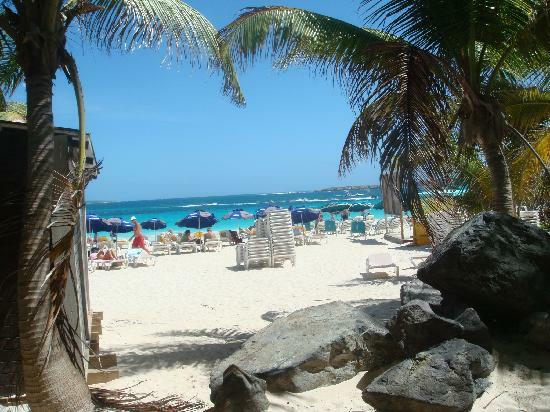 Other beaches you might want to try: Bouillabaisse Beach, Plage des Graniers, Salins Beach and Caneliers Beach. 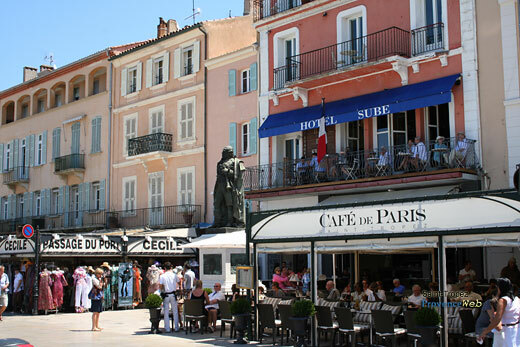 Aside from beaches, shopping (both luxury stores and the open air markets at the Place des Lices), and wandering around the charming city center, a vacation in St. Tropez would not be complete without ample good food and great nights on the town. Try Café de Paris for delicious sushi and sashimi or Caprice des Deux for traditional regional fare. Great dining experiences can also be had at Leï Mouscardins, Château Hôtel de la Messardière, La Bouillabaisse and Café Senequier, which offers great breakfast options. The nightlife in St. Tropez usually gets started around 11pm and mainly consists of exclusive nightclubs and private parties. From the legendary Les Caves du Roy and the cash-only Voile Rouge Beach Club on Moorea Beach to the hip Brasserie des Arts (open to 3am in the summer) and the Papagayo Club, St. Tropez is a celebration of wealth and celebrity status when it comes to getting your groove on at glamorous nightspots filled with people to watch and ever-flowing champagne. St. Tropez and its luxury villa rentals offers a chance for a once in a lifetime vacation filled with white sand beaches and endless nights. This is a spot that mixes natural beauty with glamour and excess—the perfect elements for the town’s official sports, the de rigueur activities of people watching, celeb spotting and sun worshipping. But then, surrounded by such beauty, both natural and otherwise, how could one really think of doing anything else? This entry was posted on Monday, July 12th, 2010 at 12:04 pm	and is filed under Saint-Tropez. You can follow any responses to this entry through the RSS 2.0 feed. You can leave a response, or trackback from your own site.